Situated in the historical district, this hotel is within 1 mi (2 km) of Canowindra Age of Fishes Museum and Canowindra Golf Club. Windowrie Estate is 9.6 mi (15.4 km) away. 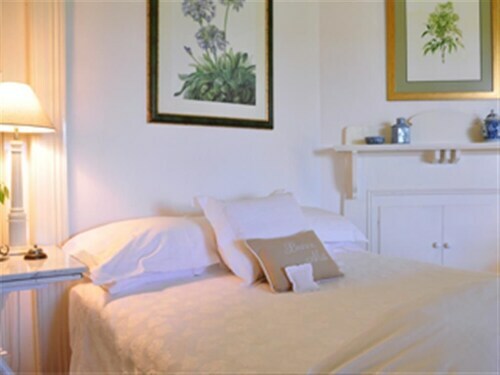 Situated in the historical district, this guesthouse is within a 15-minute walk of Canowindra Age of Fishes Museum and Canowindra Golf Club. Windowrie Estate is 9.6 mi (15.5 km) away. Located in the heart of Cowra, this motel is within a 5-minute walk of Cowra Regional Art Gallery and Australia's World Peace Bell. Cowra Golf Club and Cowra Rose Garden are also within 15 minutes. 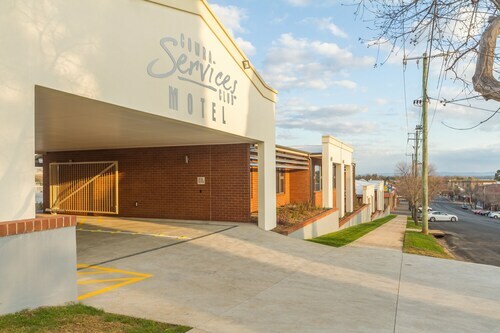 Situated in Cowra, this motel is within 1 mi (2 km) of Cowra Golf Club, Cowra Rose Garden, and Cowra Visitor Information Center. Australia's World Peace Bell and Cowra Regional Art Gallery are also within 2 mi (3 km). If you're struggling to find any places to stay in central Canowindra, don't stress. You can, however, spend your holiday within 10 kilometres at any of the 2 options recommended by Wotif. The Old Vic Inn and Marlow House are your best options if you'd like to stay near the main hotspots. You'd have to be a Wally to head off without seeing the other things in Central New South Wales. Central New South Wales is marked by rural landscapes, rivers, mountains and valleys, along with commonly visited Central New South Wales destinations like the art museums, history museums and art galleries. Or join the locals hiking. If you'd like to check out some close by localities, think about Bloomfield and Calare. Journey 45 kilometres to the northeast from Canowindra and you'll locate Bloomfield. Alternatively, Calare is 50 kilometres to the northeast. Bloomfield hotels are the de Russie Boutique Hotel Orange and Quality Inn Ambassador Orange. The Oriana Motor Inn and Midcity Motor Lodge are some of the better ones in Calare. Wotif hopes you have an amazing time in Canowindra! Whatever you'd like to see, wherever you'd like to go, we'll get you there, on budget, on time and in style! How Much is a Hotel Room in Canowindra? 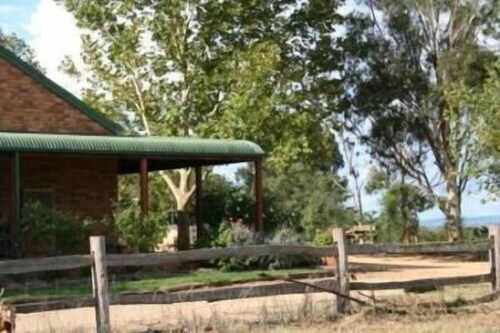 Hotels in Canowindra start at AU$89 per night. Prices and availability subject to change. Additional terms may apply. Always welcoming. A great place to stay. Club great too. Nice and quiet rural prporty. The owner went above and beyond for us! Fantastic breakfast! Thank you !